Slow loading times can kill your website, annoying visitors and hurting engagement. And unoptimised WordPress websites can be very slow. Waiting around makes your visitors impatient and more likely to abandon your site in favour of a competitors'. This means fewer leads, signups and/or sales for you. Site speed is especially important now that you'll likely have a lot of website visitors using their phones to browse. These smaller devices can stuggle with heavy pages, particularly if it's an older smartphone model. WordPress websites are at particular risk when it comes to slow download times. They can be complex, with code heaped upon code under the surface (much of it likely not needed at all)—which leads to a greater risk of all kinds of problems. Overly-complex, under-optimised WordPress sites are at greater risk of security breaches (so check out our article about WordPress security next), as well as slower download times. So bear in mind that you should always have optimisation in mind for your WordPress website. And read on to discover the three quickest ways you can speed it up right now. Note: We'll be including some screenshots of our test site's Pingdom speed scores in each of the sections below. This will give you a clear idea of how well each tactic can improve download times. 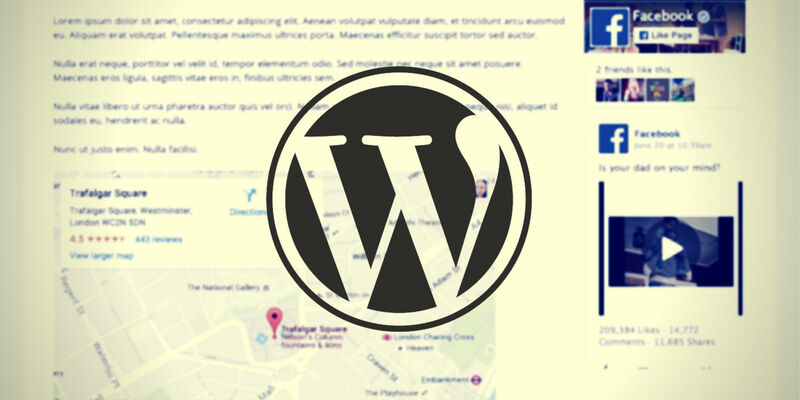 Do you have plugins enabled on your site to embed a Google Map, a Facebook widget, social sharing buttons and a Flickr gallery? What about plugins that you're not even using? Unless it's a vital part of your site, you don't need fancy embedded things on your site. So consider swapping that Google Map embed for a screenshot of a map (you can link the image to Google Maps, if you like). You can also switch embedded social buttons for simple buttons linked to special social sharing URLs. And you can even use a screenshot of a YouTube video player that links to the video hosted on YouTube.com, rather than embedding the video into your page. Once you've swapped heavyweight embed codes and plugins, remember to disable and uninstall any plugins that you're no longer using. Otherwise, they could still be causing some unnecessary extra code to run on your server. While you're reviewing your site's content in this in-depth way, you might also want to look at whether your theme is as lightweight as possible. Many premium WordPress themes are designed to offer the maximum number of options, to please the widest possible audience. But it's highly unlikely that you'd use all of your theme's features, if it has dozens or hundreds of them. So consider hunting for a dedicated theme that actually has fewer overall features because it's designed purely for sites like yours. For example, if your site is a portfolio website, don't use a theme that also bundles lots of ecommerce-friendly features. And vice versa. There are many companies and developers who create niche WordPress themes. Find them using your preferred search engine, or by browsing the big theme repository sites. Now that you've swapped heavy embed code for lightweight images, you'll benefit even more from adding a lazy-loading plugin. 'Lazy-loading' means that an image is only loaded on the page once it is within the visitor's view. So images below the fold won't be loaded until the visitor scrolls down. Lazy-loading can also apply to videos. You can replace embedded videos with simple screenshots of the video player, and only once the user clicks on the 'Play' icon is the video actually embedded, loaded and played. 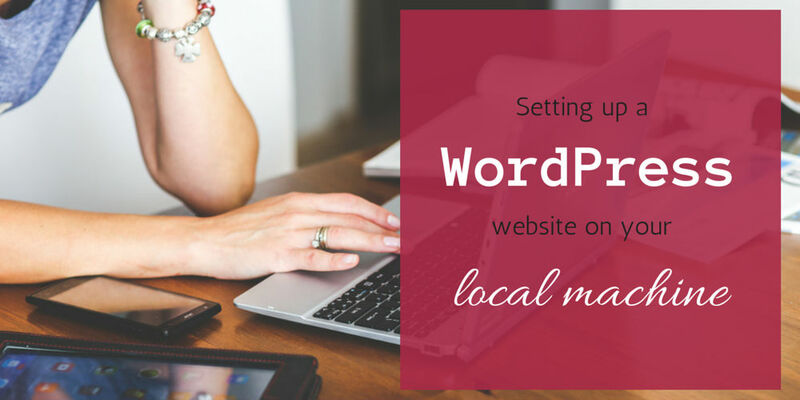 Don't forget to also resize and optimise your images before uploading them to your WordPress site. There are different ways of doing this, but the two tools linked here are simple and free. There are a lot of ways a server can be improved and optimised to help a WordPress website load more quickly. From better hardware and software to the latest & greatest caching techniques, WordPress-focused hosting packages can offer big load time improvements. Examples of hosting companies offering WordPress-focused packages include WPEngine, Flywheel (aimed at web designers and agencies), Rackspace and many others. Important: Please remember to do you own research before selecting a hosting company. Speak to other people that you know, ask for their experiences with different hosting companies and browse unbiased/non-affiliate reviews online. The most important quality of a good host company is top-notch support for their paying customers. 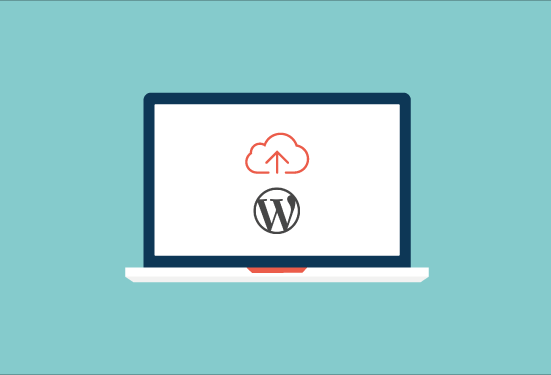 While you're researching companies with great WordPress hosting services, you can ask them about easy CDN setup. A CDN is a Content Delivery Network, used to deliver your site's assets (images, stylesheets, etc) to visitors quicker by delivering them from servers located near to them. This can speak up your website's load times significantly for lots of your visitors, so it's a useful additional. A separate CDN service, like CloudFlare, can be added to your site for free if your hosting company doesn't include this.